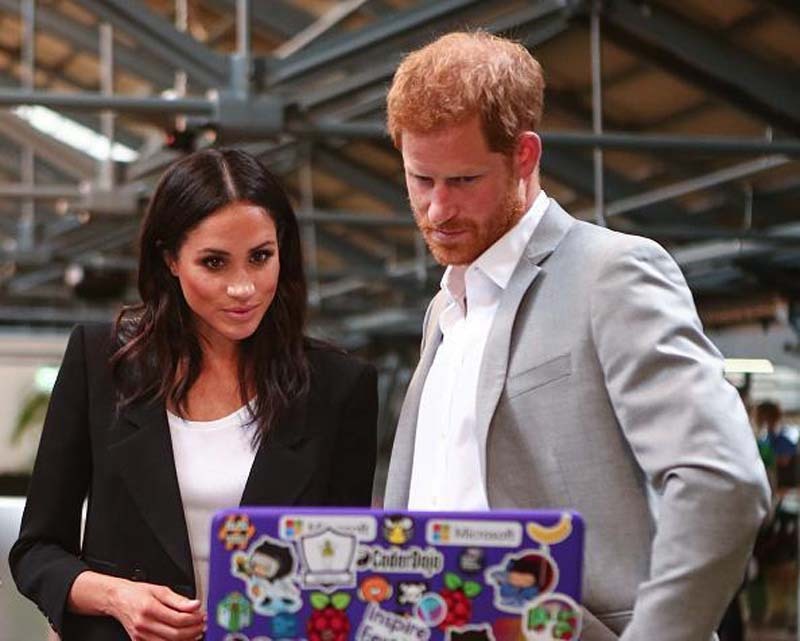 Prince Harry and Meghan Markle have reportedly warned their friends to not talk to the press. Katie Nicholl, a royal biographer, told Vanity Fair, that Prince Harry came up with the rule, and he wants his wife to follow suit. “He worries there is too much hysteria around Meghan and he wants to row back a bit. They both expect a code of silence. If you talk to the press, you’re out. Harry didn’t use to care that much about what was written (in the press), he just said it was a load of [expletive], but he’s very protective of Meghan and defensive these days,” Nicholl said. [post_ads]Camilla Tominey, a royal editor, told Nicholl that Prince Harry has also built an emotional fortress around himself and Markle. “Harry has certainly built an emotional fortress around himself and Meghan. They have both been extremely upset by Thomas Markle’s behavior and that of Meghan’s half-sister, Samantha,” Tominey said (via Daily Mail). In related news, Markle and Prince Harry’s body language at Nelson Mandela’s Centenary Exhibition was recently analyzed by expert Judi James. She said that the Duke and Duchess of Sussex are operating as a global power couple. “This body language between Harry and Meghan might well define their status as a global power couple in future but it also emphasizes the strong bonds of love between them as newlyweds,” she told Express. James added that Markle has been showing her inner self more and more. “They’re currently picking their way between all the archaic confines of royal protocol rules and etiquette, with Meghan clearly doing her best to act in a way that works in her role as the wife of a royal prince. But – hopefully – without compromising the feminist principles and the more spontaneous, tactile side of her personality that bonded her with the UK public so quickly,” James explained.